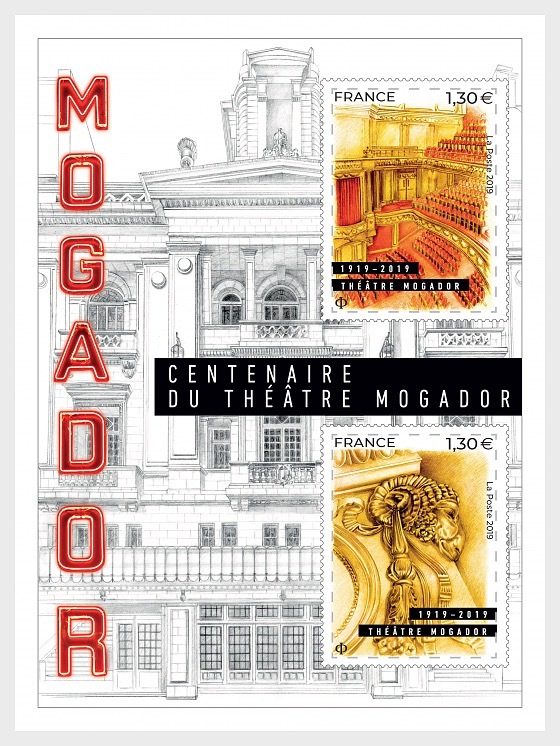 In 2019, the Mogador Theater celebrates its centenary. The stamp block represents the facade of the building, as well as the theater room, the largest in Paris with 1,600 seats. The red seats and the luminous sign are complemented by the gold color of the building's moldings.